Set up your HomeStars profile to connect with project-ready homeowners. Create a profile to get exposure to the 7 million homeowners who visit HomeStars, every year. Receive service requests from job-ready homeowners looking to hire a pro like you. Collect customer reviews. Show prospects why they should hire you with all the great things your customers are saying about your business and team. 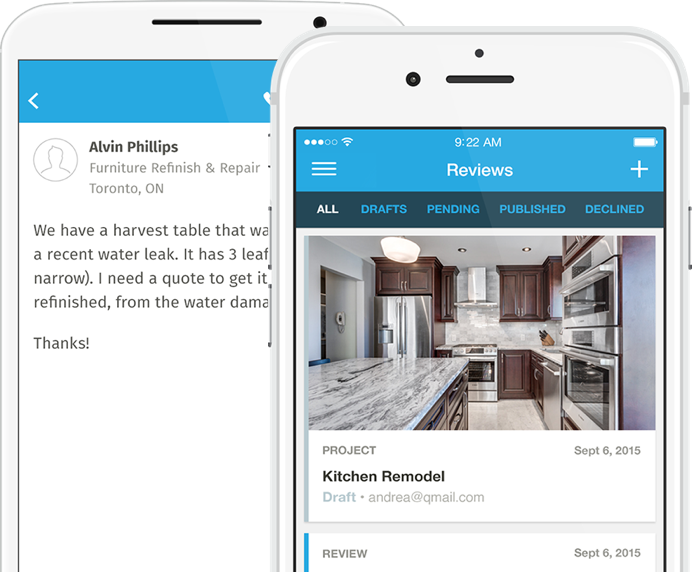 Homeowners want to hire a home service pro they can trust - get Verified and show homeowners that you’re a credible and trustworthy choice for their next project. Choose a plan. Get connected. Create a basic profile to connect with Canada’s largest homeowner community. Reach new customers with Lead Driver - an exclusive network providing unlimited access to targeted, homeowner leads. Win more jobs with a premium business profile. Brand Builder offers pros enhanced brand presence and maximum exposure to project-ready homeowners. Stay informed, get reviews and receive service requests on any device.